Right now, a very special holiday edition of “Finding the Funny” is going on HERE. When you link up, you will not only see your post in the Break Room but on SIXTEEN other blogs. That’s a lot of exposure! Go check it out for the details! In the movies, everyone is always Catholic. Well, except in The Preacher’s Wife. 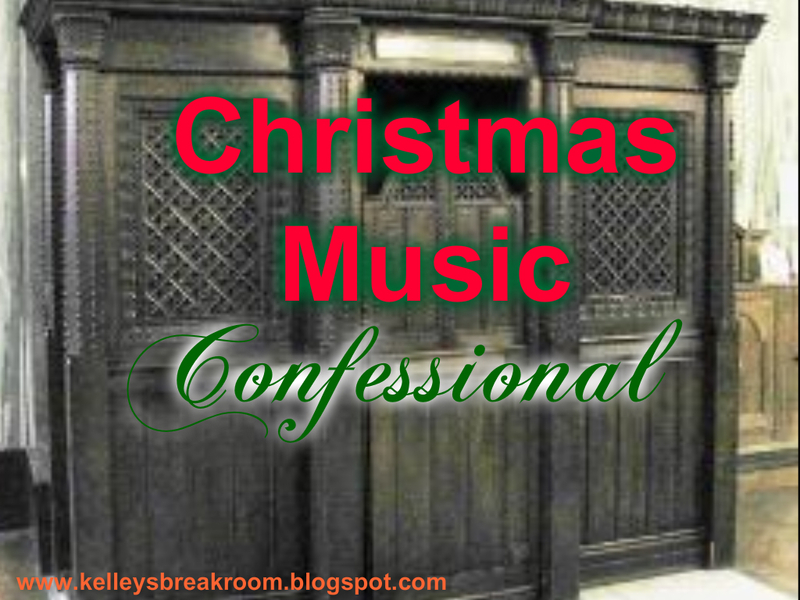 Though I’m not Catholic, I do wish I had to go to Confession sometimes. I don’t want to get into the whole deal about me confessing my sins to a priest. I don’t necessarily want to do that. I just think I’d like to go into that itty-bitty room and just spill everything. So, when Kim from The Fordeville Diaries offered up an opportunity to be involved in a “confessional”, I was all over it. It’s almost like a dream come true!! I can sing both in a really, really annoying away. See, with Holly Jolly Christmas all the words just flow so well and the vowels can be strung out in the most irritating way ever. Once I get started on this song, I have to finish the whole thing because the urge is so unbearably strong. Even if it is 11:30 p.m.
“Kelley, no one is singing Christmas carols at 11:30 at night. Go to bed already,” said my husband last night. “Have a HOlly, JOlly Christmas. It’s the best time of the year. Say heeeeeeeellooooooooooo to friends you knooooooooow….” I continued to belt out with hand motions. But, my VERY, VERY, VERY favorite part of the song? Oh, man. That is good stuff. I love Jingle Bell Rock, too, because it is one of the only Christmas carols I can tear up on the piano. “Anyone in the mood for Jingle Bell Rock? I GOT IT! I’LL TEAR THAT MESS UP RIGHT HERE ON THIS STEINWAY. Who’s down?” is something I want to yell out at every Christmas party with a piano. “…dancing and prancing in Jingle Bell Square…in the frosty aiiiiiiiiiiiiiiiiiiiir!!!!!!! !” says me as I sway my head back like Elton John and Jingle Bell rock out on the black and white keys. Well, goodness gracious, I practically sang the whole dern thing. This confessional post probably would’ve been best delivered via v-log, so you could actually hear my renditions, don’t you agree? Why are you shaking your head violently from side to side? Haha!! You are going to hurt your neck doing that! Hahahaha!! Anyway, one of these days I’ll do that sort of thing when I’m ready for my family to never speak to me again.